Oakdale, NY - Sept. 10, 2018 - Detectives with the Suffolk County SPCA arrested a Bay Shore man and charged him with animal cruelty on Friday, September 7th, 2018. 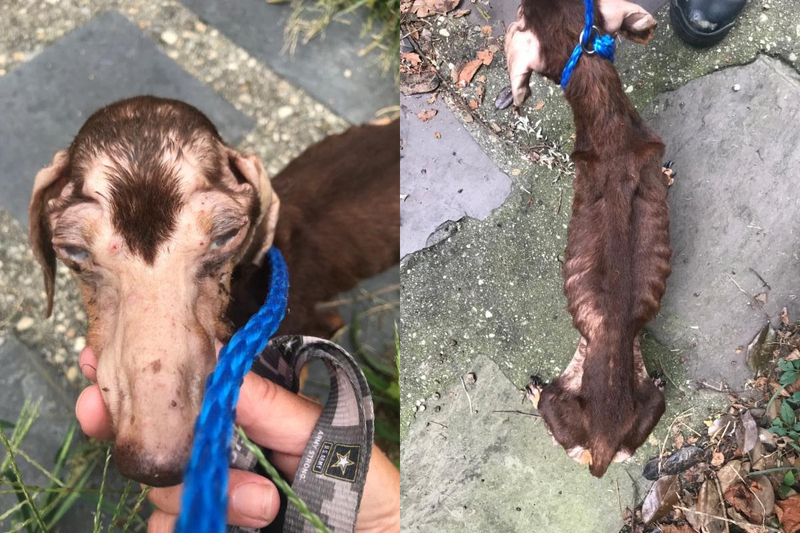 Craig Tenzer, 50, was charged with cruelty to animals for severely neglecting Miss Pretty, his 7 year old female dachshund. The dog was found to be severely emaciated and living in a condemned house. Tenzer was arrested without incident by Suffolk County SPCA and transported to the 3rd Precinct by the Suffolk County Sheriff's Department. Tenzer's next appearance in First District Court in Central Islip is November 17, 2018. The case is being turned over to the Suffolk County District Attorney's Office for prosecution.